JianHao Tan has finally popped the question to his beau, Debbie Soon! 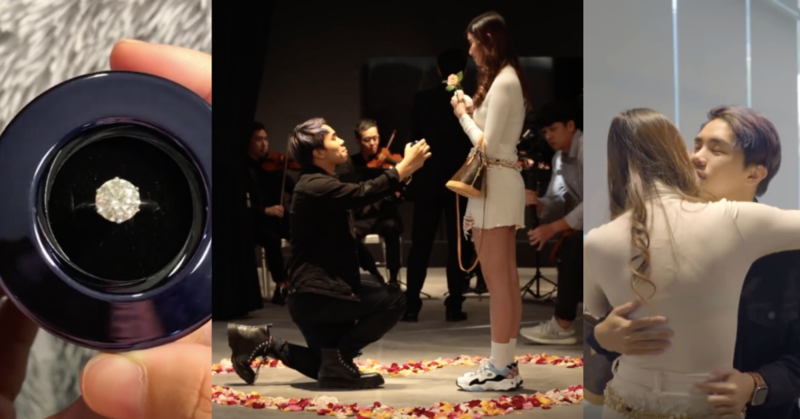 On the 17th of March, JianHao posted a video on the surprise proposal, that took him 2 months to plan. In the video, JianHao explains how his team formulated a plan with Sketchers to create a fake event. Little did Debbie know, the “event space” is a space full of photos and hand-written notes, a string quartet, and some fairy-lights awaited her. And of course, how can we forget JianHao himself, and the ring! JianHao is definitely setting the bar up high here! A girl could only dream to have such a well-thought, strategic proposal like that! Sevenpie would like to take this time to congratulate JianHao and Debbie on their engagement. We wish them all the best!